XPG team is proud to announce it's 6th year participation in G2E Macao. Come over to see us at stand #1802, which is facing the exact expo entrance! As always get ready to receive nice and valuable presents from XPG family. Global Gaming Expo Asia (G2E Asia) is the must attend marketplace for the Asian gaming-entertainment industry, offering a one-stop platform to the industry professionals to network, forge fresh connections, source new products and solutions, and gain a deeper insight into the latest global industry trends. 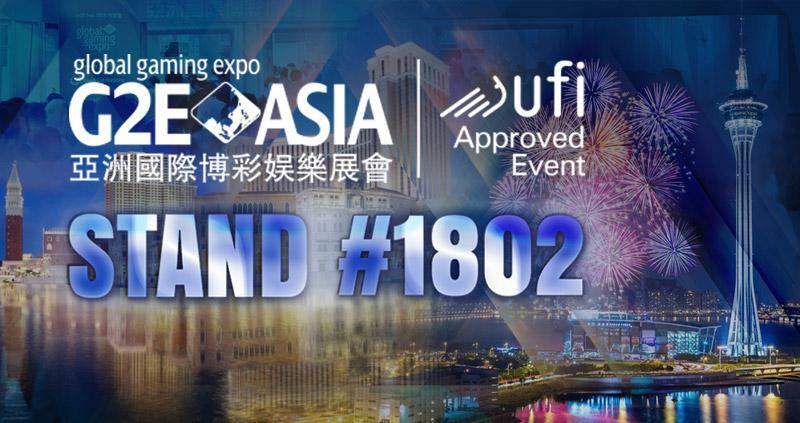 Every year, over 95% of Asian casino operators attend G2E Asia to look for cutting-edge products and solutions and gather upcoming industry trends. Held in Macau - the heart of Asian gaming-entertainment, G2E Asia is the ideal hub where professionals network and conduct business.